Have an interest in original or custom-made card art? Kellmark’s artists are capable of providing just such a service. Kellmark has the exclusive ownership of an extensive library of card designs as well as prints of original art work. 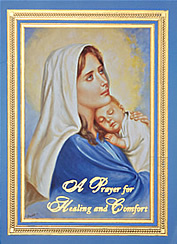 This copyrighted art is available for both religious and non-religious card designs. Of special interest to most non-profit organizations are designs which can be used for the year’s major religious celebrations such as Christmas, Easter, Hanukah and Thanksgiving Day. A large collection of artwork for Mother’s Day, Father’s Day, St. Patrick’s Day and Valentine’s Day is also available. Designs for Sympathy, Birthday and All Occasion cards likewise can be created in a variety of shapes and artistic styles. Unique Mass Enrollment Cards are available for all occasions. Designs can be enhanced with die cutting and foil stamping, as well as hot and cold embossing.